Members of Shetland’s transport partnership ZetTrans secured £200,000 of funding towards the system earlier this year. While there were hopes it could have been rolled out by mid-summer, ZetTrans chairman Ryan Thomson said officers are still working their way through the tendering process. 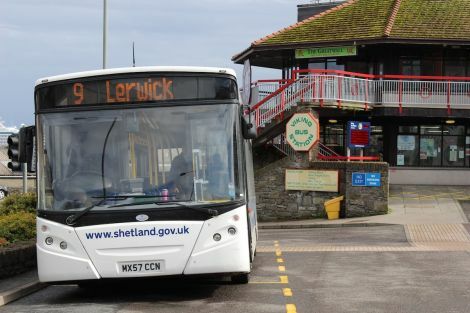 He hopes that the project – which would allow people to buy tickets using debit or credit cards, for instance – could be extended to the council’s inter-island ferries. Although new technology will be introduced on the bus network, passengers will still be able to pay by cash if they want. “The smart ticketing project has been out for tender, and that commercial tendering procedure is now going through due process,” Thomson said. “Smart ticketing equipment on our busses is something that is necessary primarily as the old equipment becomes outdated. Card payments, particularly contactless payments, are becoming the norm as the way people spend money changes so this is an important step in terms of being able to upgrade the equipment to suit the users.